When you trim your trees, they balance better, look good, and grow properly. Tree trimming is actually necessary for the long-term health of any tree. When your tree is trimmed regularly, it becomes possible for the tree to focus all of its energy on new growth. Pruning removes energy draining foliage. That energy is then redirected to heal the stressed areas and stimulate new growth. The old, yellowing, and dead parts are removed, and that energy is also used to grow more leaves and branches. Regular pruning also prevents the growth of insect populations and the spreading of disease. 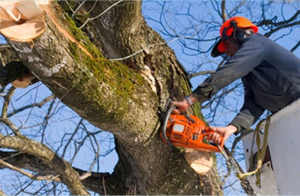 The skilled tree trimming professionals at Las Vegas Superior Tree Service can help you prune and trim all the trees on your property. Each job is handled with an incredible focus on detail.